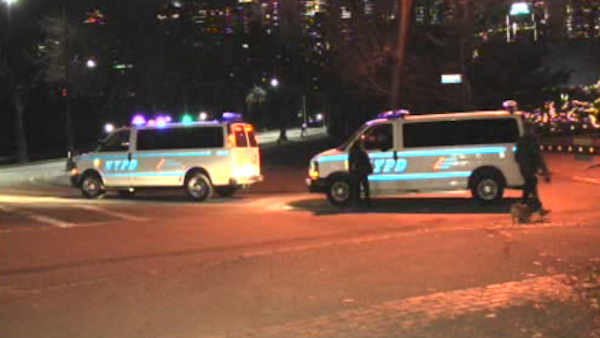 UPPER WEST SIDE, Manhattan (WABC) -- Police are looking for a group of suspects after a 25-year-old man was mugged of his cash in Central Park Sunday night. The victim was punched in the face after four men descended on him at West 67th Street and West Drive just after 8:15 p.m. They took $55 from his wallet and fled on foot. The man was treated at the scene. No arrests have been made. There have been a string of violent robberies inside the park recently.